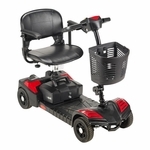 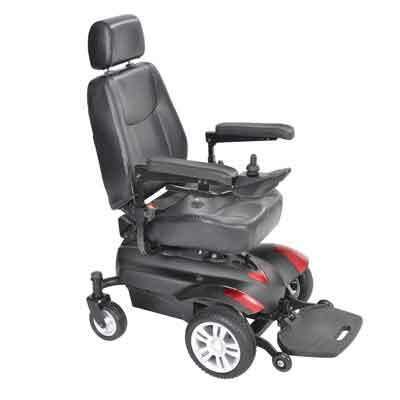 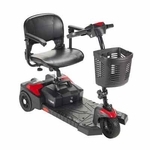 The front wheel drive Titan X23 Power Wheelchair is a comfortable and stylish option for users seeking a transportable power mobility product that's ideal for indoor and outdoor use. 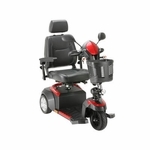 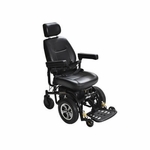 The Titan's front-wheel system positions the drive wheel forward of the user's center of gravity, making the chair extremely stable and giving it great performance over small obstacles. 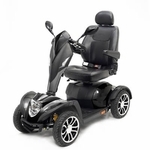 The Titan is also great indoors, navigating tight, enclosed spaces with ease. 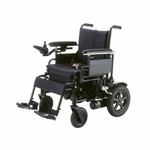 The Titan is also perfect for users on the go, as the chair can be disassembled, without tools, into components that can be loaded into a car, truck or van for transport without the need for a cumbersome vehicle rack. 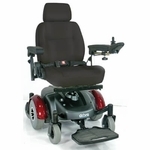 You can also customize your Titan with the included two sets of interchangeable color panels.